Located adjacent to the Auditorium Building on Michigan Avenue, the Fine Arts Building was originally The Studebaker Building, a carriage factory and showroom. By 1895, the building proved insufficient, and the Studebakers decided to convert the building into studios and theaters to be an artistic and literary center. The renovated ten story building opened in the summer of 1898. It soon became a hub for writers, artists, musicians, publishers, galleries, societies and Wright himself, from 1908 through 1910. It became known as "the first art colony in Chicago". 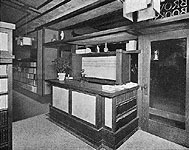 Wright's interest in publishing and Japanese prints lead him to become a member of The Caxton Club which was located on the tenth floor of the building. 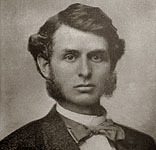 Both Francis Fisher Browne and Wright were members. 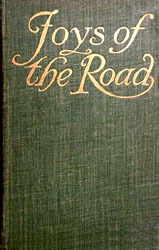 Wright's interest in publishing limited edition books went back to 1896 with his involvement in "The Eve of St. Agnes" and "The House Beautiful" 1896-1898. Another member of the Caxton Club was publisher Ralph Fletcher Seymour who located his publishing company in The Fine Arts Building. 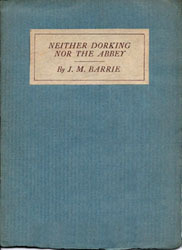 In 1911, he published "The Morality of Women" for Wright and Mamah Bouton Borthwick (Cheney) as well as two other volumes. 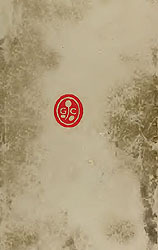 In 1912 Seymour published Wright's first edition of "The Japanese Print". Another tenant in the Fine Arts Building was The Arts Club of Chicago. 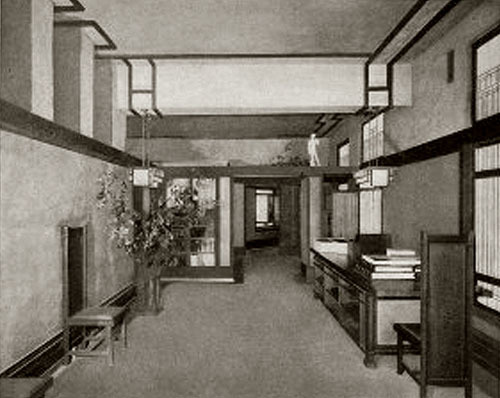 Wright held an Exhibition there of Japanese Prints entitled "Antique Colour Prints From The Collection of Frank Lloyd Wright" beginning November 12 and ending December 15, 1917. "The Dial", a semi-monthly journal of Literary criticism, discussion and information, founded by Francis Fisher Browne also had offices in the Fine Building. Wright's first project in the Fine Arts Building was a bookstore on the seventh floor for Francis Fisher Brown, (1907 - S.141). 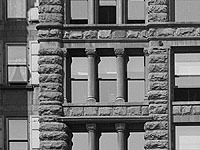 Wright's second and third projects were the Thurber Art Gallery (1909 - S.154) which occupied the entire fifth floor, and the Mori Oriental Art Studio (1914 - S. 181) on the eighth floor. It might well be said that Francis Fisher Browne was as much a "formative influence in American literature" (BD p240) as Frank Lloyd Wright was in the field of architecture. Francis Fisher Browne was born on December 1, 1843 in South Halifax, Vermont. His father, William Goldsmith Browne was a well-known editor, poet and printer in Massachusetts. Francis worked in his father's print shop in Chicopee until the summer of 1862 when he served in the Massachusetts regiment. From 1866-67 he studied law in Rochester, New York and at the University of Michigan. But, like his father, his heart was drawn to the written word. After a year in Michigan, he moved with his wife Susan Seaman Brooks to Chicago where he became the editor of "The Western Monthly" in 1869. Within two years he bought an interest in the magazine, and once gaining control, changed the name to "The Lakeside Monthly". It became one the best monthlies in the country. 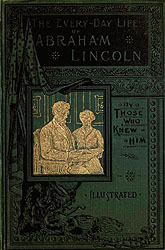 He formed the Chicago Literary Club in 1874. The nation experience the financial panic of 1873, and Browne's health suffered greatly, forcing him to give up the magazine in 1874. Unable to attend his beloved Literary Club, and unable to pay the dues, he was expelled from the club (Prophet p13). It was not until 1899 that he once again became an honorary member. Gaining his strength, and partnering with Jansen, McClurge & Co., he founded "The Dial" in 1880. 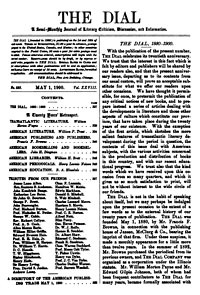 Under Browne's leadership as founder and editor of "The Dial", it became the premier literary magazine in the nation. In 1892 full ownership was transferred to Browne. Besides his editing responsibilities he wrote and edited a number of books. Few photographs remain, documenting the short life of Browne's Bookstore. In the July 27, 1907 issue of Publishers' Weekly, it was announced "...The Dial Company of Chicago is to open in that city a large and well-equipped bookstore early in October..." In the November issue of The Dial, it was announced that "Browne's Bookstore, in the Fine Arts Building on Michigan Boulevard, is now open..." Shortly after its completion, Henry Fuermann and Sons photographed the bookstore. The Architectural Record published image #3, view of the front cove in the March 1908 issue, in Wright's now famous "In the Cause of Architecture". 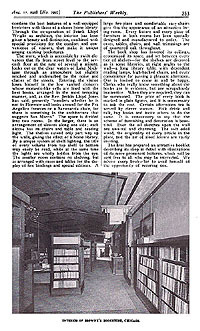 Publishers' Weekly published an extensive article on the bookstore in the August 15, 1908 issue and included image #5 View from entry to back and image #4 View from front to back. Wright must have been pleased with the outcome of Browne's Bookstore, because he included six images in "Frank Lloyd Wright, Ausgef�hrte Bauten", 1911, pages 100, 104-107. The space is divided into two rooms. In the larger, there is an arrangement of alcoves along one side; each alcove has its chairs and table and reading light. The shelves extend only part way up the walls, giving the effect of a home library. By a unique system of shelf-lighting, the title of every volume from top shelf to bottom may easily be read, while at the same time the lights are wholly hidden from the eye. The smaller room contains no shelving, but is arranged with cases and tables for the display of fine bindings and special editions. A large fire-place and comfortable easy-chairs give this the appearance of an attractive living-room. Every fixture and every piece of furniture in both rooms has been specially designed and manufactured to order. The cases, tables, chairs, and wall trimmings are of quartered oak throughout. 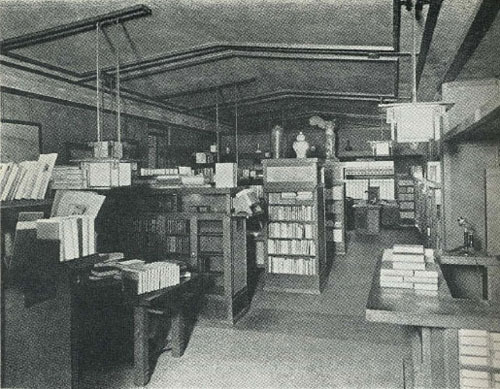 Bookstores at the time were always placed on the ground floor and visible from the main thoroughfare. Browne throw conventional wisdom out and placed his bookstore on the seventh floor, which could have been a viable option in the Fine Arts Building. The concept for the interior was also unique. He wanted the feel of a living room, complete with fireplace. It was praised as one of the premier bookstores "on this side of the water". But in hindsight, he should have stayed with conventional wisdom. Even with Wright's design and Browne's leadership, the bookstore struggled to run profitably. It was announced that "Browne's Bookstore will remove September 1 (1911) to commodious quarters on the street floor... The store has for four years occupied space on the seventh floor... and by this move will take its place among the many high-class shops which line this exclusive thoroughfare. Browne's Bookstore has been known as one of the most artistically arranged bookstores in the country, and the fittings in the new store will be carried out in thorough harmony with this idea." (Publishers Weekly, Aug 26, 1911). Any semblance of Wright's design vanished. All that remained were a few chairs and light fixtures. In the end, the move did not help the store become profitable. In April 1912 the directors decided to close Browne's Bookstore. "He to whom Chicago owes, perhaps more than any other one man, such growth of literary taste as the city may boast is Mr. Francis F. Browne..." Frank Leslie's Popular Monthly, November 1892. Frederick Cook, in "Bygone days in Chicago" 1910, described the "present Dial - a critical force surpassed, perhaps, by none in America... is receiving an even larger recognition as a formative influence in American literature." 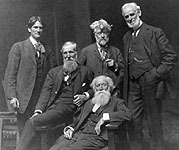 John Burroughs wrote, "His memory is a precious possession to us all. Such men belong to the 'saving remnant' of which Arnold wrote so eloquently; they help save us from the vulgar and the unworthy... I have lost a dear friend, and every person who cherishes a high and worthy ideal has lost a friend also." The Dial, June 1, 1913. Francis Fisher Browne past away on May 11, 1913. Attending physicians say Browne's illness was brought on by overwork. He was too weak physically to recovery. 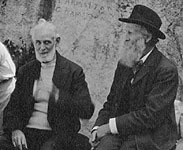 Browne had a wide acquaintance in the world of letters, and was on terms of intimate friendship with John Muir, John Burroughs, Joaquin Miller, Walt Whitman, Whittler, Lowell, Holmes and other men of note. "Francis Fisher Browne, or Browne the Beloved as I like to call him, was one of the finest and rarest men I ever knew. During the last five or six years of his life, when I came to know him intimately, my love and admiration have been constantly growing as the noble strength and beauty of his character came more and more clearly to view." John Muir. It might well be said that Francis Fisher Browne was as much a "formative influence in American literature" (BD p240) as Wright was in the field of architecture. Located adjacent to the Auditorium Building on Michigan Avenue, the Fine Arts Building was originally The Studebaker Building, a carriage factory and showroom. It was constructed as an eight story building in 1885 and designed by architect Solon S. Beman. Needing additional space in the early 1890s, they demolished the smaller adjacent three story building, and constructed the five story attached annex. The annex was remodeled in 1910-11 and remains consistent today. 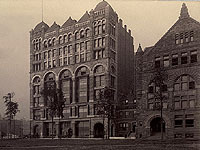 Adjacent to the annex was the original Art Institute of Chicago, constructed in 1886-87 by Burnhan and Root. 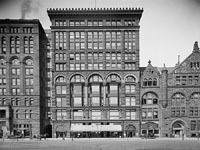 In 1892 when the Art Institute move across the street to the present location in Grant Park, the Chicago Club occupied the building. Illustration From "Frank Lloyd Wright, Ausgef�hrte Bauten", 1911. Image #1-5 and 7a courtesy of "Frank Lloyd Wright, Ausgef�hrte Bauten", 1911. Image #6 courtesy of "Frank Lloyd Wright to 1910", Manson, 1958. Image #7b and 8 courtesy of "A Notable Bookstore", Browne, 1908. 1: Exterior view of entry from hallway. Glass, an element Wright continually experimented with, envelops the entryway, inviting guests inside. Two doors allow customers to enter. "Browne's Bookstore is on the glass above the left door. 2: Interior view of entry. The cashier's station is conveniently situated between the two entry doors. Wright designed every fixture and every piece of furniture. 3: View of front Cove. 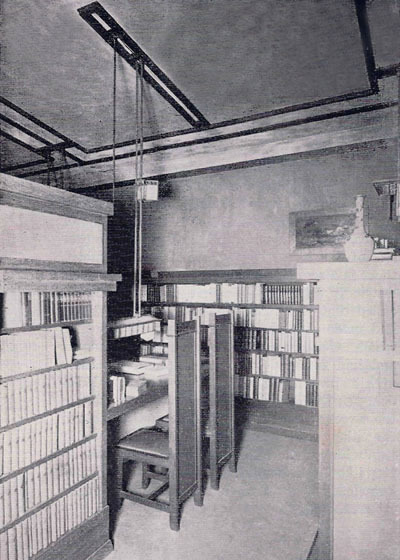 Browne sought to combine the best features of a well-equipped bookstore with those of a choice home library. Built-in seating, high-backed chairs and tables, stained glass windows and light fixtures, and a view of Lake Michigan from these seventh floor windows. Wall and ceiling trimmings were of quartered oak throughout. Wright even designed the urn and placed oak leaves in it. Eight urns were known to have been produced, two of which were placed in Browne's Bookstore. The second urn can be seen in image no. seven. 4: View from front to back. Alcoves were arranged along the left side; each alcove had chairs, a table and reading light. The shelves extend only part way up the walls, giving the effect of a home library. 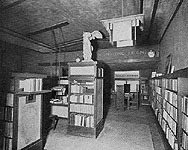 By a unique system of shelf-lighting, the title of every volume from top shelf to bottom were easily be read, while at the same time the lights were hidden from the eye. 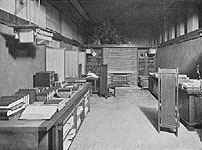 Every fixture and every piece of furniture was specially designed by Wright and manufactured to order. The cases, tables, chairs, and wall trimmings were of quartered oak throughout. Wright also lowered the ceiling in the main room. 4a: View from the entry and cashier's desk to back. This image was taken at a later date than image 4. The tall pedestal book shelf directly across from the cashier's desk has been removed and replaced with a table. 5: View from entry to back. Alcoves were arranged along the left side; each alcove had chairs, a table and reading light. The shelves extend only part way up the walls, giving the effect of a home library. 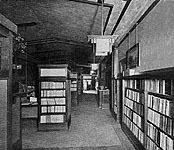 By a unique system of shelf-lighting, the title of every volume from top shelf to bottom were easily be read, while at the same time the lights were hidden from the eye (PW). Set between every tier of shelves, at right angles to the wall are long library tables, with dependent reading lamps and high-backed chairs. The cases, tables, chairs, and wall trimmings were of quartered oak throughout. Wright also lowered the ceiling in the main room. Wright adorned the top of a book shelf with his familiar Winged Victory Statue and quotations on the wall. Moving from one room to the next, Wright would often lower the ceiling, giving the effect of immensity as you moved into the next room. Wright dropped the ceiling in the space between the two rooms, while continuing the ceiling above. See Wasmuth illustration. 6: View of Cove. Each Cove included a built in table, four high-backed chairs and a reading light. The shelves extend only part way up the walls, giving the effect of a home library. 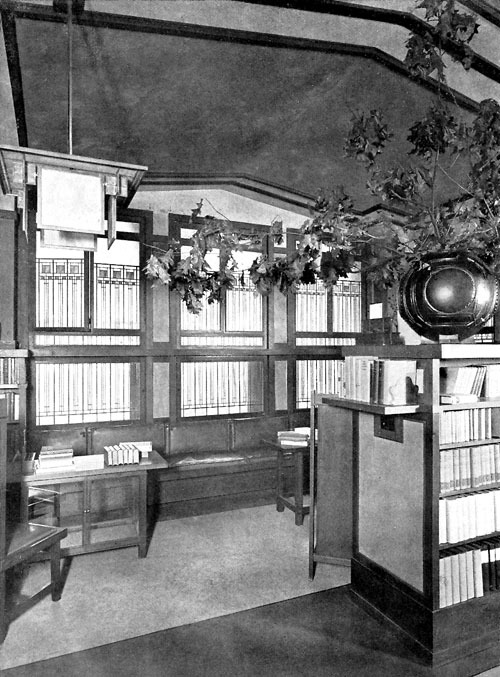 By a unique system of shelf-lighting, the title of every volume from top shelf to bottom were easily be read, while at the same time the lights were hidden from the eye (PW). The book tier on the left shows the design of the lighting system just above the top shelf. Not only were the upper shelves recessed, but the lower shelves were slightly slanted, angling the books upward. 7a: View toward fireplace. 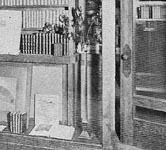 The smaller room contains no shelving other than on either side of the fireplace, and is arranged with cases and tables for the display of fine bindings and special editions. A large fire-place and comfortable easy-chairs give this the appearance of an attractive living-room. Every fixture and every piece of furniture in both rooms has been specially designed and manufactured to order. 7b: View toward fireplace. The smaller room contains no shelving other than on either side of the fireplace, and is arranged with cases and tables for the display of fine bindings and special editions. A large fire-place and comfortable easy-chairs give this the appearance of an attractive living-room. 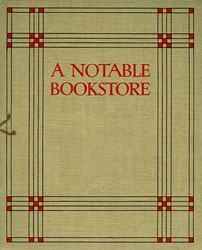 Published in "A Notable Bookstore". 8: View from the fireplace. It is arranged with cases and tables for the display of fine bindings and special editions. Statue of David visible above doorway. Published in "A Notable Bookstore". In 1910 Frank Lloyd Wright produced the ﻿"Ausgef�hrte Bauten und Entw�rfe von Frank Lloyd Wright" (S.87), published by Ernst Wasmuth, in Berlin. Each set consisted of two portfolios with a combined total of one hundred separate plates (sheets). Printed in German. The complete set consisted of 72 plates numbered I through LXIV and included eight with a or b. 28 were tissue overlays and were attached to the corresponding plates. Each set also included a 31 page introduction, consisting of unbound sheets, folded once. Plate XXXVI (36) �Exposition building, containing an exhibition-room and lecture-room for the Larkin Co. at the Jamestown Exhibition; and the interior of the Browne�s Book-Store. A long narrow room in a down-town building converted into a book-store. The walls and ceiling were re-formed, and alcoves with chairs and tables provided for the convenience of customers.� 15.75 x 25.25. It has just been announced that The Dial Company of Chicago is to open in that city a large and well-equipped bookstore early in October, and will later inaugurate a general book publishing business. The company will, of course, carry on actively the three periodicals with which it has so long been identified, and which it has so long been identified, and which are so well known to the trade throughout the country: The Dial, the acknowledged leading literary journal in America; the "Trade Book List," a monthly bulletin of new books, supplied in imprint editions to booksellers throughout the United States; and "What's in the Magazines," devoted to the interests of periodicals as the first two are to books. 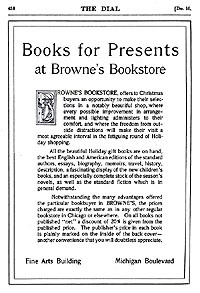 Browne's Bookstore, offers to Christmas buyers an opportunity to make their selections in a notably beautiful shop, where every possible improvement in arrangement and lighting administers to their comfort, and where the freedom from outside distractions will make their visit a most agreeable interval in the fatiguing round of Holiday shopping. The choice of a location for a bookstore is always a matter of concern and perplexity. Given a favorable vicinity, where shall the store be located? If on the main thoroughfare... But, wherever a bookseller will establish himself, he insists that his store shall be on the "ground floor," in more senses of the word than one. 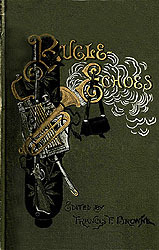 ...Thus far, however, only one dealer in all classes of books has had the courage to locate his store up "in the air," and the credit of being the pioneer in this respect belongs to the Dial Company of Chicago, of which Francis Fisher Browne is president, which as already noted by us, has located Browne's Bookstore on the seventh floor of the Fine Arts Building on the Michigan Boulevard in Chicago. Text and illustrations Copyright Douglas M. Steiner unless otherwise noted. The Caxton Club of Chicago was founded in 1895. "The Dial, 1880-1900", The Dial, May 1, 1900, Pages 327-328. Studebaker Ad: "Pirates", The Dial, May 1, 1901, Page 319. Studebaker Ad: "Yankee Concul", The Dial, December 16, 1903, Page 487. "Twentieth Century Biographical Dictionary of Notable Americans", Johnson; Brown.1904, Page 440. 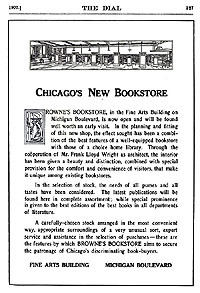 "New Bookstore and Publishing Firm in Chicago" The Publishers Weekly, July 27, 1907, Page 222. Ad: "Chicago's New Bookstore" The Dial, November 16, 1907, Page 327. "Browne's Bookstore Art Glass Windows", 1907. "Browne's Bookstore Art Glass Fixtures", 1907. 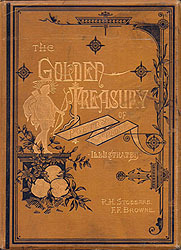 "Browne's Bookstore and the Copper Weed Holder", 1907. 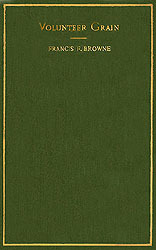 "Browne's Bookstore and the Copper Urn", 1907. "Browne's Bookstore Side Chair", 1907. "Browne's Bookstore and the Winged Victory", 1907. "In The Cause of Architecture", Wright, Architectural Record, March 1908. 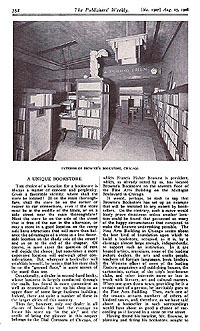 "A Unique Bookstore", Publishers Weekly, August 15, 1908, Pages 352-353. "Musical Memories", Upton, 1908, Pages 345. ﻿"Ausgef�hrte Bauten und Entw�rfe von Frank Lloyd Wright" Wasmuth, 1910, Browne's Bookstore "Plate XXXVI". 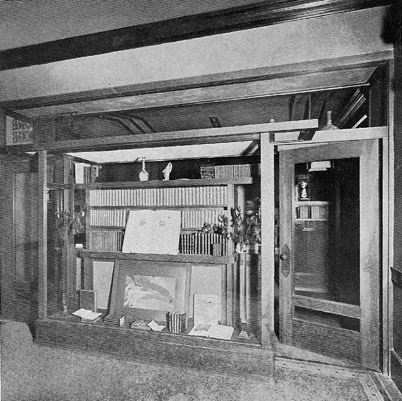 "Browne's Bookstore and The Wright Playroom Windows", 1910. 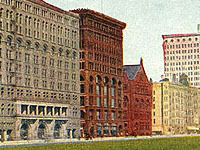 "Bygone Days in Chicago", Cook, 1910, Page 400. "Frank Lloyd Wright, Ausgef�hrte Bauten", Wright, 1911, pages 100, 104-107. 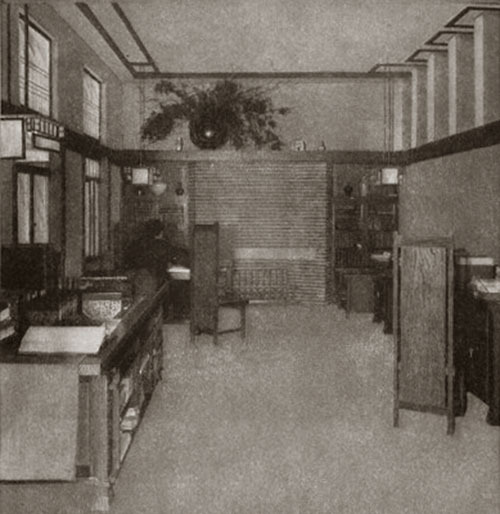 "The Fine Arts Building in Chicago", The International Studio, April 1911, Peattie, Pages XLIV-XLVI. 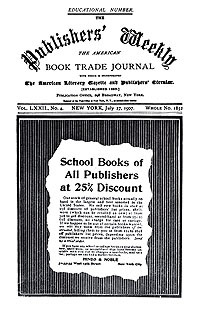 "Browne's Bookstore Relocates", The Publishers Weekly, Aug 26, 1911, Page 854. "Francis Fisher Browne. 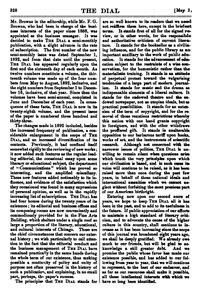 1843-1913", The Dial, June 1, 1913, Pages 437-443. "Browne The Beloved", Muir, The Dial, June 16, 1913, Page 492. "Browne The Beloved", John Muir, Transcript of original letter. 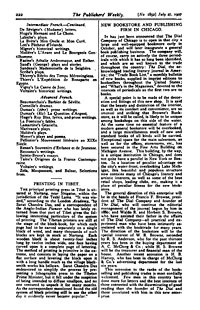 "The Dial�s Puritan Editor", Shaw, American Review of Reviews, July 1913, Pages 115-116. "The Chicago Literary Club", Gookin, 1926, Pages 204. "Frank Lloyd Wright to 1910", Manson, 1958, Pages 166-167. "The Dial in Transition", Nicholas Joost, Journal of Illinois Historical Society, August 1966, Pages 272-288. "Fine Arts Building", Pomaranc, 1977, Pages 12. "A Prophet Without Honor in His Own Country", Regnery, 1985, Pages 14. "The Frank Lloyd Wright Companion", Storrer, 1993, Page 142. "Frank Lloyd Wright & The Book Arts", Hamilton, 1993, Pages xi, 53, 66-71. "Lost Wright" Lind, 1996, Pages 140-141. Edited and Photographed: Futagawa, Yukio, 1991, Pp 90. "The Book of the Fine Arts Building", Peattie, Swan, 2008, Pages 37. "Frank Lloyd Wright's Nakoma Clubhouse & Sculptures." 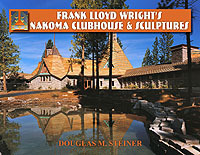 A comprehensive study of Wright�s Nakoma Clubhouse and the Nakoma and Nakomis Sculptures. Now Available. Limited Edition. More information.